Proudly Serving Lincoln, Logan County and surrounding areas. 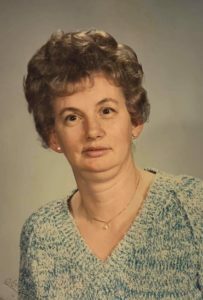 Margaret J, Nelson, 78, of Lincoln, passed away November 21, 2018 at St. Clara’s Manor. Cremation rites will be accorded by Holland Barry & Bennett Funeral Home. Burial will be at a later date in Zion Cemetery. Margaret was born August 31, 1940 in Mason City, IL., the daughter of Marshall Tangman Sr. and Mary (Murdock). Mary died when Margaret was very young and she was raised by Florence (Farley) Tangman. Margaret married Orvel Duane Nelson in Green Valley, IL. on November 15, 1959. He passed away on March 12, 2001. She was formerly employed by Ball Incon. She enjoyed playing penny bingo and playing card games, and was an avid Chicago Bears and Chicago Cubs fan. Surviving are her children Michael (Toni) Nelson, Debbie (Billy) Short, and Kim (Josh) McFarland; 7 grandchildren; 3 great grandchildren; brothers; Donald ( Ruthie) Tangman, Edward Tangman, and Eugene (Mary) Tangman; sisters Carolyn Grigg and Elba Jean Smith; and several nieces, nephews, cousins, and friends. She was preceded in death by her parents, husband, son Brian Nelson, 2 brothers and 1 sister. Copyright © 2019 Holland Barry & Bennett Funeral Home. All Rights Reserved.